Thinking of an underwater mural? I might have the perfect design for your kids playroom or bedroom, but it can be hard to tell from the product images. 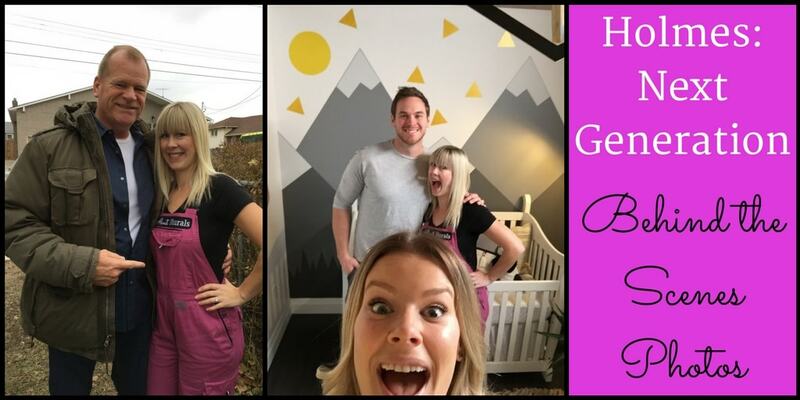 That’s why I spend hours every month getting customer photos of my wallpaper murals, so you can see them in action in real people’s homes. 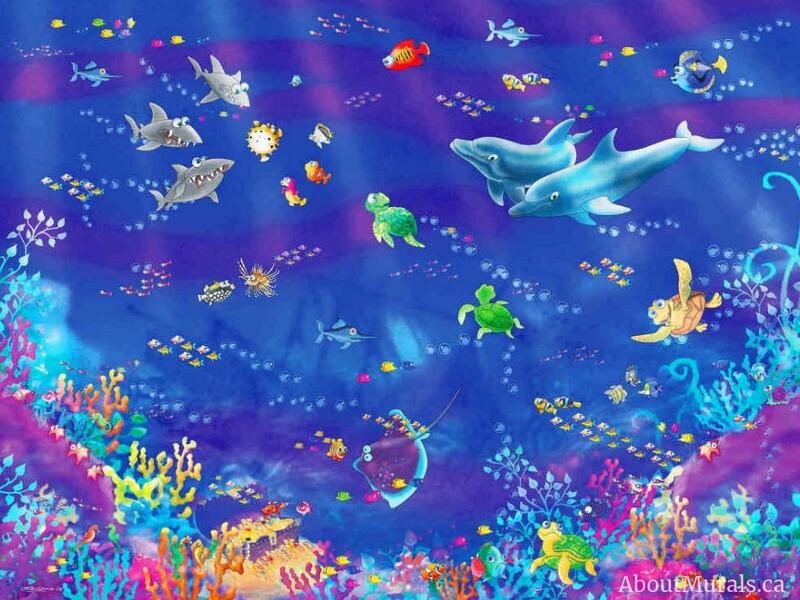 This underwater mural has so much colourful detail like dolphins, turtles, sharks, fish, coral…even sunken treasure! But it can sometimes be hard to see it all with customer’s furniture covering parts of the mural, so I’m sharing the product photo with you. 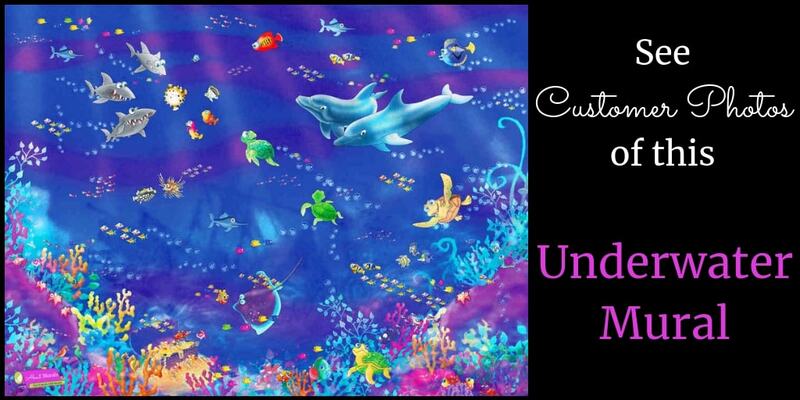 Shop For This Underwater Mural Now! 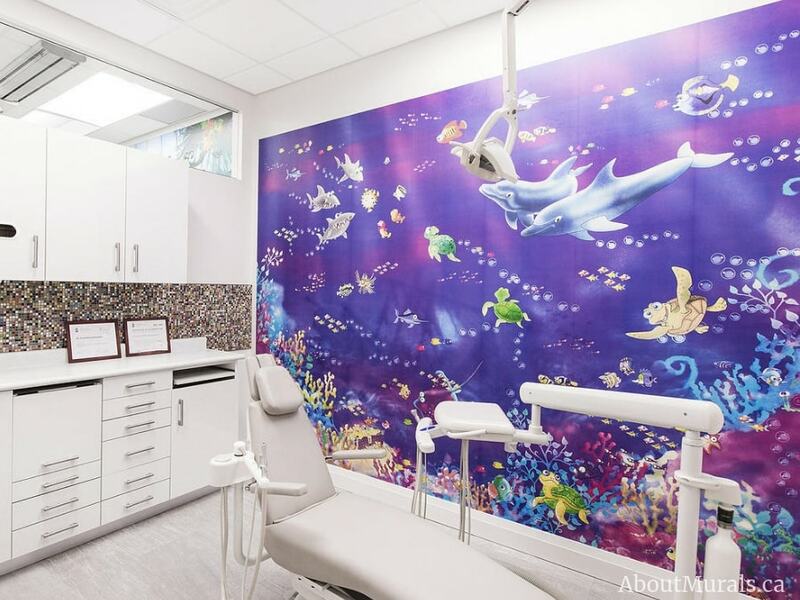 Wanna see this kids underwater mural up close? Another tough part about shopping online is seeing any product up close. I snapped a close-up photo of the underwater mural so you can see some of the texture. This wallpaper mural is a computer illustration, so you won’t see any paint brush strokes or paper texture (like you would if it was made from an original painting). It sort of reminds me of Disney animation, to give you an idea of what to expect. One concern parents have when decorating their kids rooms is that their kids will grow out of the design. The great part about all of my wallpaper murals is that they are removable, so you’re not married to the design forever. I even made a how-to remove video to show you how easy it is. 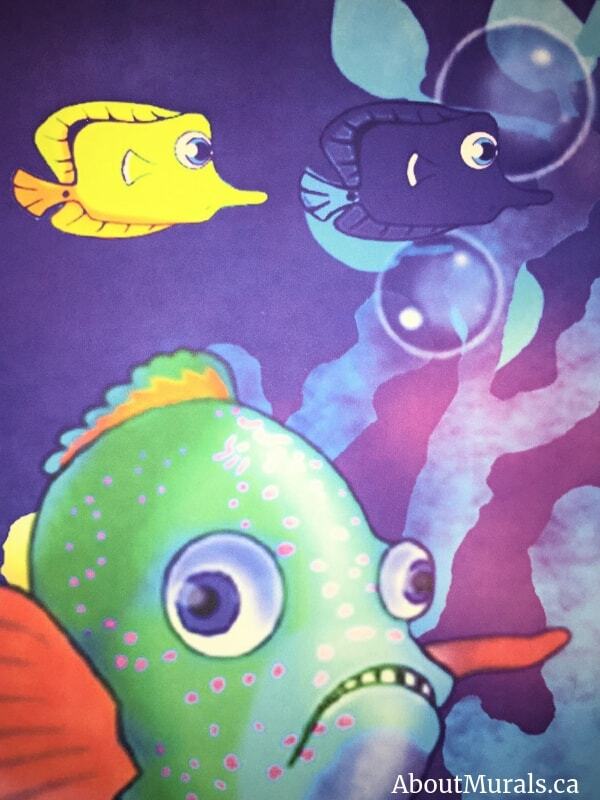 Shop all of my underwater mural designs! Still not sure? Grab a sample. Are you unsure if the colours will match the rest of the décor? Maybe you’re the type who needs to feel the quality of the paper. Or perhaps you don’t believe me about the removability of the wallpaper and wanna try it on a hidden wall somewhere. 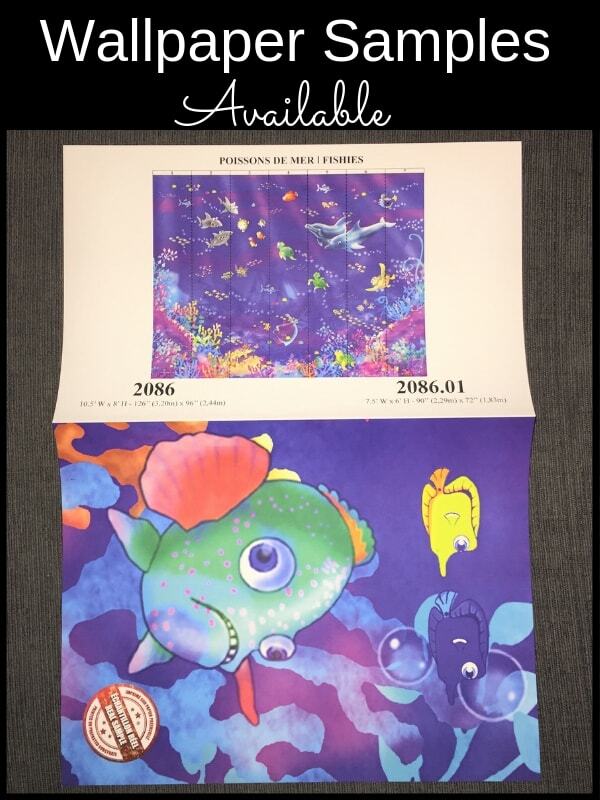 You can buy a sample of this underwater mural to answer all your questions!